A good shot in PlayerUnknown’s Battlegrounds always makes you feel good, but the perfect use of a thrown weapon will almost bring a tear to your eye. YouTube user G44RA’s perfect throw is one for the ages. 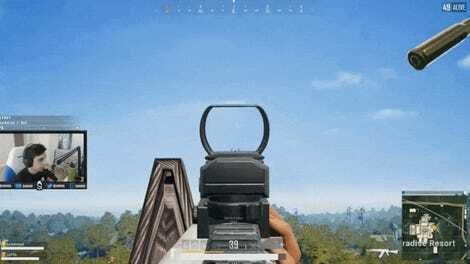 Sanhok, PUBG’s newest map, seems like it is designed to put you in awkward spots where a combination of hills, trees, and buildings means that you are doing running battles while searching for cover about 30% of the time. 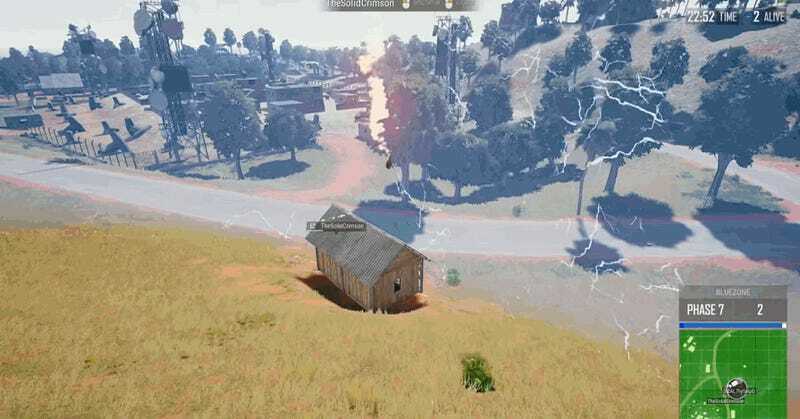 The video shows a familiar situation for anyone who has been playing PUBG recently: there’s someone firing from a building, they’re hard to hit, and the only choice to make is whether to fight or run. The noble molotov user in the video chooses to fight, and it pays off. I literally went “ohhhOHHHHHH” when the weapon threaded through the window, and it’s this kind of moment that makes PUBG a special game for me that really does transcend other battle royale games. It’s something to do with the slightly more tactical, more simulation-y aspects of the PUBG experience that makes this more interesting and exciting to me than shooting grenades out of a gun in Fortnite. I salute you, thrown weapons expert, because I’m never going to do anything this cool.